Cricket Fever are on the way. Cricket Lover waiting for New Cricket World Cup 2019 Winners. Cricket 2019 World Cup Starting from 30th May To 14th July 2019 Hosted by England and Wales. 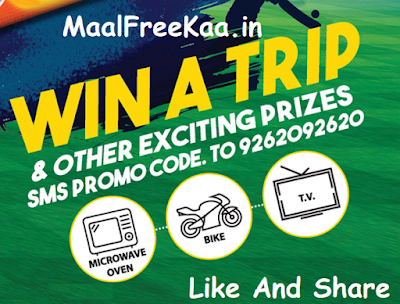 You Can Watch Free World Cup Match With Free Trips. Here's The Chance to Get Cricket World Cup 2019 England and Wales Match Tickets and Trip every time when you buy Britannia Promo Pack of World Cup 2019 and send SMS to chance to win World Cup 2019 Match Tickets and Free Tips with others Exciting Prizes like Microwave oven Motor Bike and LED TV. E-Voucher (Mobile credit/ wallet cash/ cab aggregator credit/Digital Premia). Britannia merchandise such as trays, coasters, bottles, etc. Each World Cup Prize Winner will be eligible to receive a ticket to a particular, predetermined World Cup match. Exciting Prizes include televisions, motorcycles and microwaves. Economy class return air ticket to the United Kingdom. Hotel stay OR allowance (Trip duration: 3 nights and 4 days). Match ticket Local transfer or allowance. Meal or allowance. Above may be subject to change at the sole discretion of Britannia.